Albany, NY - March 9, 2015 - The New York State Department of Environmental Conservation (DEC) today released a revised mute swan management plan with significant changes after considering the diverse public comments received on a first draft released in January 2014. DEC is accepting public comments on the revised plan through April 24. "Wildlife management can present challenges in trying to balance conflicting interests, such as when a beautiful bird has undesirable impacts," DEC Commissioner Joe Martens said. "This revised plan remains committed to minimizing the impacts of mute swans on wildlife dependent on wetlands for their habitats, while being sensitive to public concerns about how and where that is accomplished." "These organizations displayed a tremendous amount of professionalism in voicing their concerns while demonstrating a willingness to listen and seek solutions that would be broadly accepted," Commissioner Martens added. "As a result of this thoughtful public input, the plan is greatly improved." A more succinct summary of the impacts mute swans can have, citing additional scientific studies. The revised management plan describes nine strategies that DEC believes are necessary to achieve the plan goal. Key strategies include public education and outreach to inform people about the history and impacts of mute swans in New York; banning the importation, commercial trade, propagation and release of mute swans; allowing municipalities to develop local mute swan management plans in cooperation with DEC; and continued efforts by DEC to reduce wild mute swan populations, especially in upstate New York where they did not occur before 1980. Comments on the revised draft mute swan plan may be submitted in writing through April 24 to: NYSDEC Bureau of Wildlife, Swan Management Plan, 625 Broadway, Albany, NY 12233-4754 or by e-mail to Wildlife@dec.ny.gov (please type "Swan Plan" in the subject line). DEC's summary of and responses to public comments on the earlier draft plan are also available on the DEC website. In addition to mute swans, DEC is concerned about many other invasive species in New York, including aquatic invasive plants, zebra mussel, emerald ash borer, Asian carp, Eurasian boar, to name a few. For more information about invasive species in New York, and DEC's efforts to prevent and control them, go to: New York Invasive Species Information website. 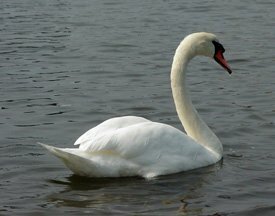 Subject: LongIsland.com - Your Name sent you Article details of "DEC Releases Revised Mute Swan Management Plan for Public Comment"